Spectrum Services, a division of Diamond Chemical, provides chemical specialty products for food service, food production, restaurants, housekeeping, supermarkets, convenience stores, and institutions. Our economical cleaning products are designed for the task at hand; at a lower in use cost than our competitors. 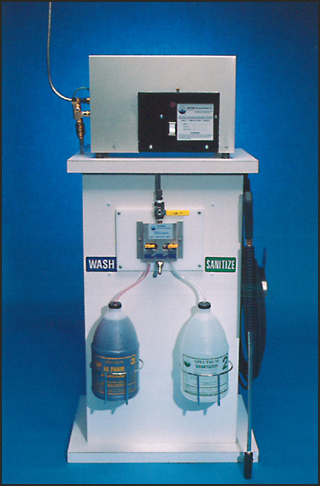 While saving chemical costs, we also enable energy and resource use reduction, due to less cleaning product usage and precise chemical metered titrations. Our broad line of products and services meet the most challenging tasks for today’s top rated companies and food service providers. We meet or exceed USDA and/or EPA product guidelines and requirements, which enable the small independent or the large chain operation to feel confident that Spectrum will satisfy their operational needs and services. 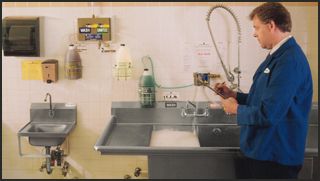 The full service programs we utilize feature detergents, degreasers and sanitizers for three compartment sinks, housekeeping, Cleaning In Place (CIP), and commercial dish and pan washers. All full service programs include training, dispenser provisions, maintenance, and regular Routine Customer account visits. Emergency Services are also available. To realize these proven benefits now, contact us or call 1-800-OK4-SOAP.